As a leader of this government, Nkrumah faced many challenges: first, to learn to govern; second, to unify the four territories of the Gold Coast; third, to win his nation’s complete independence from the United Kingdom. Nkrumah was successful at all three goals. Within six years of his release from prison, he was the leader of an independent nation. 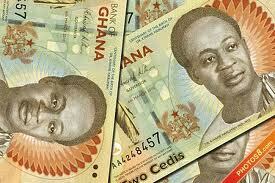 At 12 a.m. on 6 March 1957, Nkrumah declared Ghana independent. 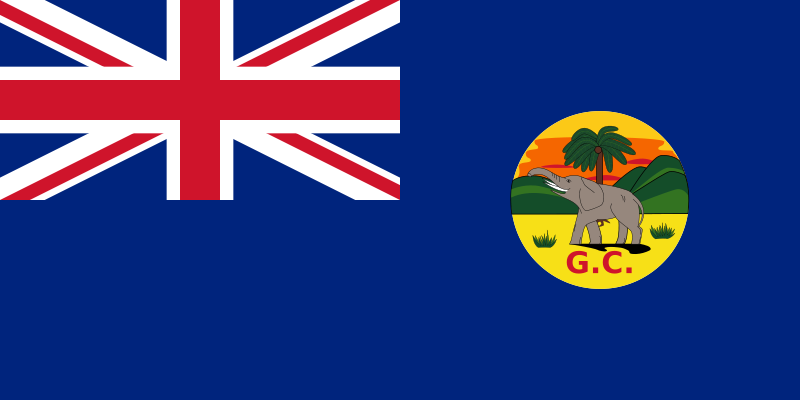 The country became independent as a Commonwealth realm. He was hailed as the Osagyefo – which means “redeemer” in the Twi language. 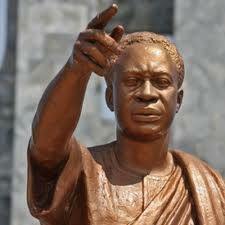 On 6 March 1960, Nkrumah announced plans for a new constitution, which would make Ghana a republic. On 19, 23, and 27 April 1960 a presidential election and plebiscite on the constitution were held. The constitution was ratified and Nkrumah was elected president over J. B. Danquah, the UP candidate, 1,016,076 to 124,623. In 1961, Nkrumah laid the first stones in the foundation of the Kwame Nkrumah Ideological Institute created to train Ghanaian civil servants as well as promote Pan-Africanism. In 1964, all students entering college in Ghana were required to attend a two-week “ideological orientation” at the Institute. In 1963, Nkrumah was awarded the Lenin Peace Prize by the Soviet Union. 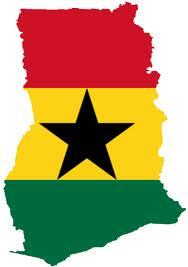 Ghana became a charter member of the Organization of African Unity in 1963. The Gold Coast had been among the wealthiest and most socially advanced areas in Africa, with schools, railways, hospitals, social security and an advanced economy. Under Nkrumah’s leadership, Ghana adopted some socialist policies and practices. 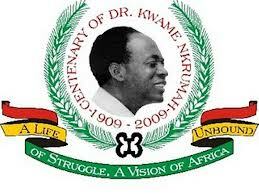 Nkrumah created a welfare system, started various community programs, and established schools. Nkrumah’s time in office was successful and ambitious (could you blame him? With a newly independent country, there was so much to build), with forestry, fishing, and cattle-breeding expanded, production of cocoa (Ghana’s main export) doubled, and modest deposits of bauxite and gold exploited more effectively. The construction of a dam on the Volta River (launched in 1961) provided water for irrigation and hydro-electric power, which produced enough electricity for the towns as well as for a new aluminum plant. Government funds were also provided for village projects in which local people built schools and roads, while free health care and education were introduced. Ghana adopted the Ghana Cedi (GHC) as a currency in 1965; the word “cedi” being the Akan word for cowry shells, which were used as currency in the old days. He generally took a non-aligned Marxist perspective on economics, and believed capitalism had malignant effects that were going to stay with Africa for a long time (and rightly so, we can all see the effects of IMF, and World Bank policies in Africa today: poverty to the grave). Nkrumah argued that socialism was the system that would best accommodate the changes that capitalism had brought, while still respecting African values. At a time when there were East & West blocks from the cold war, and where Africa was stuck in the middle, with no way out but to bend to some of the East-West politics (which could not work for us), Nkrumah believed in non-alignment. He made a famous quote on non-alignment which said: “We face neither East nor West; We face forward.” To show that we, as Africans, could not be forced to adhere to politics or economics which had no respect for us as human beings and for our cultures. 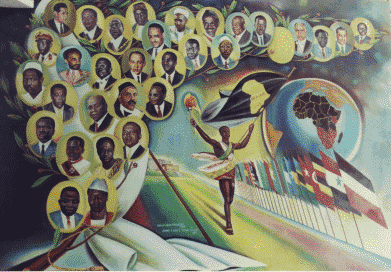 In Africa Must Unite (1963) Nkrumah called for the immediate formation of a pan-African government. Later he sat on a unification movement that emanates from the base, while anti-imperialist governments and between the Western-backed “puppet regime” could be no common ground. He was a true visionary to have seen that Africa needed to unite in order to survive, because as it stood divided in 50-something states it was an easy prey to Western imperialists. Nkrumah’s biggest success in this area was his significant influence in the founding of the Organization of African Unity (OAU). Truth be told, Nkrumah was too big for his own good. He wanted Ghana and Africa to be truly independent: politically, and economically. He was a strong advocate for pan-Africanism, and the true instigator and founder of the Organization of African Unity (now African Union) whose goals were to raise Africa, and promote unity and strength across the continent. He also helped several independent movements in Africa, such as those from Rhodesia (Zimbabwe). He was ousted in February 1966 by a military coup, while on state visit to Vietnam. After the coup, Nkrumah lived in exile in Conakry, Guinea, as the guest of President Ahmed Sekou Toure who made him honorary co-president. He read, wrote, corresponded, gardened, entertained guests, and continued to push for his vision of African unity. 50 years later, Kadhafi who was trying to revive, and reinvigorate the African Union, and almost succeeded, was also brought down by Western Imperialism; and his country, the beautiful Libya (one of the few countries in the world without debt) bombed and brought down in flames. Nkrumah died in 27 April 1972 of skin cancer in Romania. One can tell the greatness of the man by the number of universities who carry his name during his lifetime. If you are ever in Accra, visit the Kwame Nkrumah Mausoleum which is a true piece of art, as well as the Kwame Nkrumah University of Science and Technology in Kumasi. 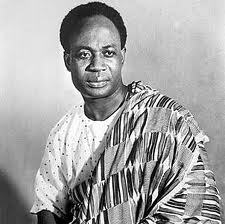 Check out Nkrumah.net to learn more about this great African leader, and read some of his speeches. Check out this great video which talks about Kwame Nkrumah’s fight for Ghana’s independence, as well as his struggle to maintain his vision for an independent Ghana (check out all parts 1-4). Don’t forget to read some of his books: Africa Must Unite (1963), Neo-colonialism: the Last Stage of Imperialism (1965), African Socialism Revisited (1967), Dark Days in Ghana (1968), Handbook of Revolutionary Warfare (1968), I Speak of Freedom (1973), and many more.